​Under the direction of Dr. Melanie Fillios, students have the opportunity to undertake an Advanced Zooarchaeology field school, offered by the University of New England (UNE). Advanced Zooarchaeology builds on identification and interpretation skills learned in introductory zooarchaeology and applies these methods and techniques to the analysis of the animal bone from the Ancient theatre. 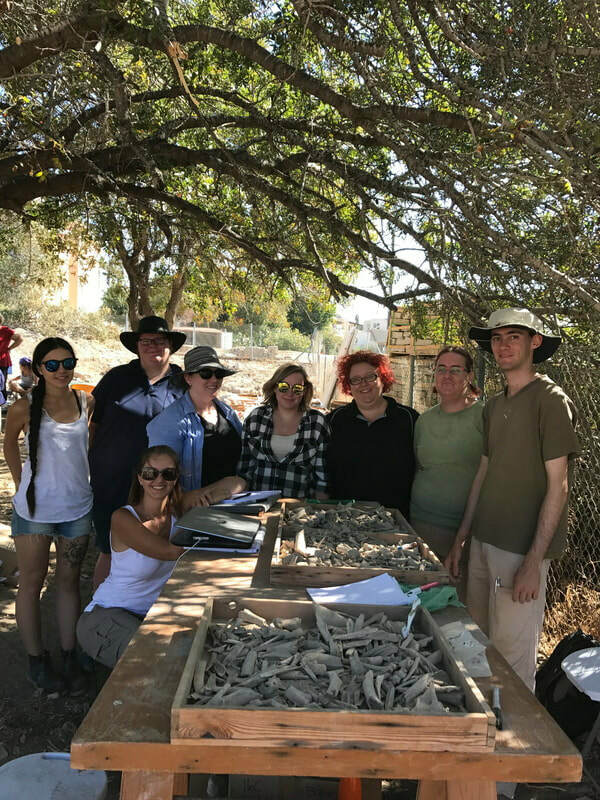 In particular, the team is examining differences across temporal contexts with the aim of developing an understanding of the diverse, nuanced relationship between people and animals in ancient Cyprus. We train students to use faunal data to reconstruct aspects of this human-animal relationship, including subsistence strategies trade, social status, ethnicity and industry. The abundant faunal remains recovered from the Ancient Theatre provide students with the opportunity to hone their bone identification skills, and offer an unparalleled opportunity to learn advanced identification and analytical techniques, as an integral part of a team on an established, working, archaeological site. ​For more details contact Dr Fillios.